Graphic Design is a very personal experience for me. Sometimes I like to collaborate and work in a group while other times I have to block out everything and see a project through until completion before I let anyone see it. Being an extrovert who likes to talk a lot, the latter is more of a rare case. Below are some of examples from my client-based work. 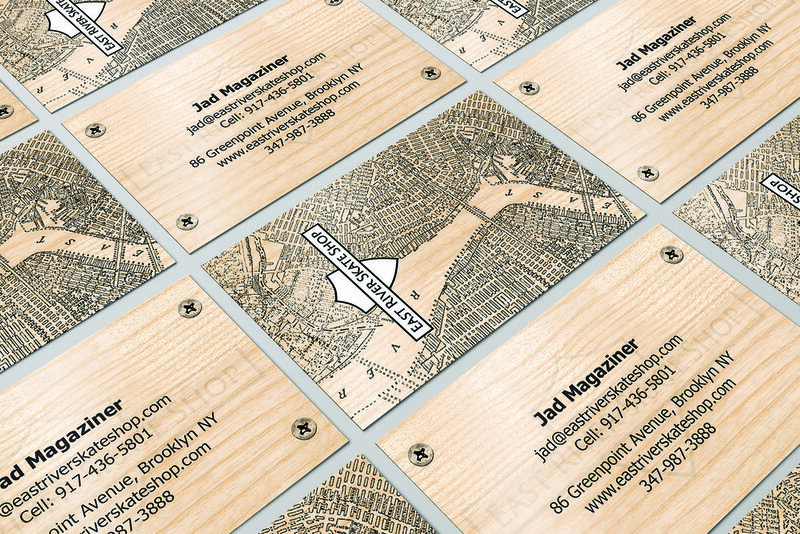 Business cards for East River Skateshop located in Greenpoint, Brooklyn. Inspired by the Founder of East River Skateshop, I wanted these cards to resemble the wood furnishings of the skateshop as well as Richard Oate's love for Maps. The four bolts are a reference to the four bolts that attach each skateboard truck to the wooden deck. As a designer learning the ropes of the social media agency world, I had the most freedom when creating content for Westsoy Tofu. It allowed me to explore ideas and techniques that other brand voices just didn't allow. Over the course of my tenure at Iced Media, I was responsible for infographics, photoshoots & animations for the brand's social media accounts. Superlative Hand Drawn Type for Social Media ads. For last year's back to school ads, my coworkers and I designed hand drawn illustrations & type for the brief that called for something to do with yearbook style superlatives.